Friends have been telling me for many years to write a book about my experiences in Algeria, but I’ve always found excuses – not enough time; people wouldn’t be interested; too painful and so on. With the advent of social media, I have found that writing little snippets on Facebook has been cathartic, so have decided to make my first tentative effort at writing a blog. A budding author and scriptwriter once contacted me to ask me to read his first draft of a film script about a convicted felon being sent from Algeria to Cayenne. His vision of Algeria, especially as events in the film were supposed to have taken place before independence, was so laughably WRONG that, in order to spare his feelings, I just said to him that he couldn’t write about Algeria unless he had lived there. You have to have lived in Algeria to understand its contradictions – the constant war between French and Arab influences, even though its people are not Arab and not French- the division and mutual distrust between so-called Arabs and ethnic Berbers- the confusion that Algerians feel about their identity. They are a mixture, ethnically, linguistically and culturally, of all of the influences on this beautiful but benighted land. They often use three different languages in one sentence when expressing themselves. They have a rich, varied history, but are only allowed to acknowledge the past millennium. I lived in Algeria for nearly twenty-four years, from May 1969 to January 1993. I have not been back since. After a short break of three years in the Gulf, I spent another twelve years working for an Algerian institution in London. As the latter was a microcosm of Algeria, I can confidently affirm that I spent a grand total of thirty-six years there. A lifetime of memories, some good, some bad. I hope that my blog will help readers get to know Algeria and its people, at least from my point of view. I am so sick of reading negative portrayals of them. I want everyone to know that it isn’t some dusty hell-hole, full of budding terrorists. It is a beautiful Mediterranean country with nearly 1000 km of coastline, snow-capped mountain ranges and warm, welcoming, vibrant inhabitants. As for myself, I have a love-hate relationship with it. On the one hand I feel incredibly nostalgic – on the other I feel as though my husband and I wasted many years of our lives. It’s only when I’ve casually mention certain events to friends and seen their jaws drop and their eyes widen that I realise that perhaps, perhaps, people might be interested. I am so glad I came upon your blog! I am living in Algeria now. I’ve read quite a few posts so far, and it has given me good insight into my Algerian husband, and why some of the family relations are the way they are. I would love to hear from you! Thanks again for sharing. Hi! I’m glad you enjoy the blog – I read a little bit of yours as well and can really empathise with your situation, although our experiences are many years apart. I suppose some things don’t change. For me it’s a case of getting all of it out of my system, plus leaving some kind of memoir for my children and grandchildren. You’ll be happy to know we survived and have now been together for fifty years and married for forty-six. 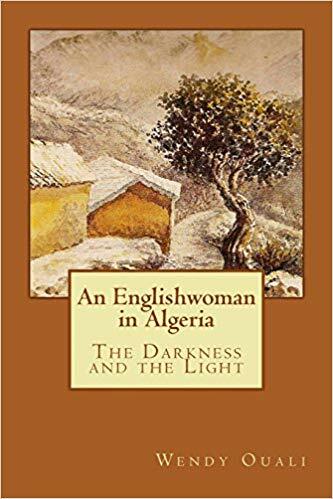 If you want to read it from the beginning, that’s perhaps the best way – you will find out how we met plus my first experiences of living in Algeria. Just click on ‘Blackpool’ in the category cloud, then on How It All Started – Part One and then you can read it chronologically. I will email you with my email address if you want to talk more. Bon courage! Hi Wendy, I recently read your book in one sitting on a very delayed flight back to Algiers. It was lovely to see bits of the Algeria I recognise being articulated by someone else, although naturally a few things have changed since then. I had been planning to move out here for a long time before I actually did and I am also totally fed up of all the negative misconceptions surrounding the country, so it’s really lovely to read the words of someone else who is trying to spread the word about the ‘real’ Algeria. Very much looking forward to part two! P.S. I’m also blogging at http://dotheyhavezoos.wordpress.com if you’re interested in my experience! I purchased the Kindle edition of Part 1 of your book after meeting an Algerian man in Paris. I learned so much about the culture and am anxious to continue! Will Part 2 become available in Kindle version? Hi Catherine! I’m so sorry that I haven’t got around to putting the second part on Kindle yet. Lots of things have happened since I first published the books. The version on Kindle is really just the first edition. I have also amalgamated the two books into one as I found that people were just buying the first one. Better to have the whole story in one book. The new amalgamated version has new pictures as well and has been tidied up considerably. You have reminded me to put the second part on Kindle and also to replace the old Part I with the new version. I’m sorry if this seems mixed up to you – it is to me. The second part is from the eighties onwards when things really began to deteriorate. I promise that I will put both on Kindle as soon as poss. Thank you. I am so so so glad that I came across this blog. It’s actually really useful to me since I am an undergraduate student in Pakistan and currently working on my thesis which is related to Algeria. I’d love to have a conversation with you. Do you mind giving me your email address where I can direct some of my questions? I’d really really appreciate your help. Thanks in advance. You can ask me questions on my FB page An Englishwoman in Algeria. I’m sure you understand that I cannot give out my email address. I’m glad the blog tells you a bit about Algeria.